Higashino’s mysteries are intricate puzzles, and that proves true with his latest, Under the Midnight Sun, which spans decades as one dedicated detective just can’t let that unsolved case go. A murdered pawnbroker’s body is found in an abandoned building. Despite several leads, Det. Sasagaki can’t pin down the murderer, and several clues at the site keep him wondering. The murdered man’s son, Ryo, is one of the main characters, and seen through a succession of other character’s eyes. So, too, do we learn of the life of another teen, Yuhiko, whose mother may or may not have committed suicide. Taken in by her aunt, the young woman exudes a natural grace and turns heads. Her growth is also tracked by a succession of character’s throughout the years. And then there is the detective, who finds himself finally at retirement age, yet he can’t let this one case go unsolved. The story is told by this succession of characters as the years pass, creating the effect of a Gordonian Knot that must be untied. Higashino’s art is this type of complex psychological mystery, where the attitudes and actions of the people are not always what they seem. Yet there are no tricks, and all of the information is there for the reader. 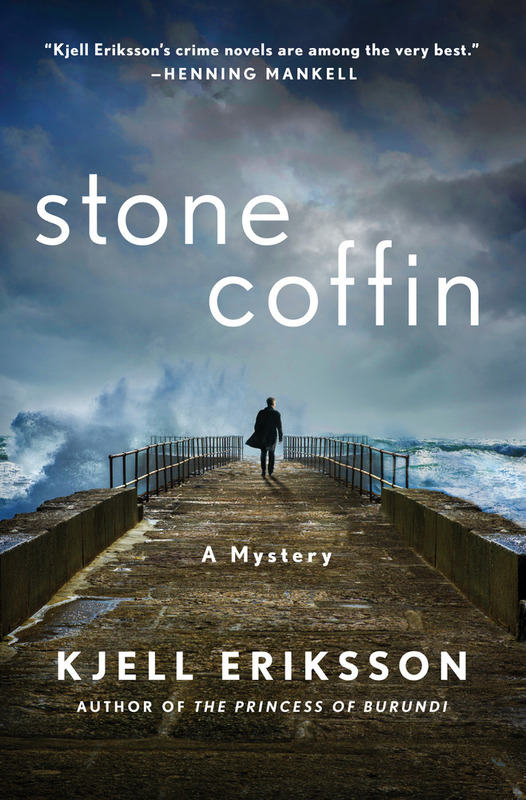 At over 550 pages, and spanning two decades, this is the kind of compelling and contemporary mystery that exudes twists and turns, and yet makes a perfect kind of haunting sense. 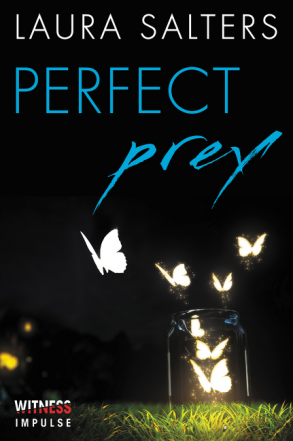 Perfect Prey is Laura Salters second crime novel, after her debut Run Away. Carina Corbett and Erin Baxter, both interns for a magazine, find themselves in Belgrade for the wild JUMP festival of music and fashion, a magnet for celebrities. From similar struggling backgrounds, the two friends spend their days touring under the guidance of the organizer of the press trip, Tim Halsey and become inseparable. One wild Danube river trip finds them stranded in a rain storm, and their group takes shelter at the home of Tim’s friends, Broko and the extremely handsome Andrijo. That night at the JUMP festival, music so loud they can barely hear themselves think and fueled up with alcohol, the unthinkable happens: Erin goes to use the restroom and doesn’t return. It’s an anguishing 24 hours before Belgrade’s police is willing to list her as missing, a day in which Carina’s anxiety disorder reaches new heights as she imagines all the different awful things that could have happened to Erin. 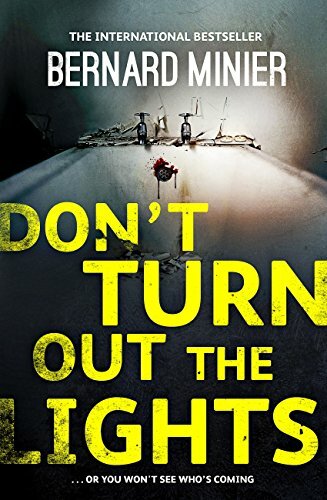 When she is finally forced to return to England after several rounds of interviews with the police, dredging up anything she can tell them of Erin’s last days in Croatia, she’s drained. But Carina is tenacious. 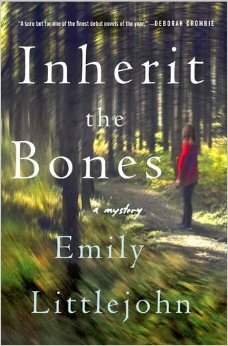 She can’t let thoughts of Erin go, and starts her own investigation. She also agrees to accompany Erin’s mother back to Croatia several weeks later–and that’s when the multiple pieces she’s collected start to fall together. Erin will be forced to tamp down her anxiety and the waves of inaction it gives her if she’s to come out of this alive, when the interesting and twisted plot comes together at the end. Auntie M and Doc watch a show regularly on HGTV called “House Hunters International.” It’s a neat way to see how people live in other parts of the world, what their housing costs are, what the US family moving to another culture faces. How real is real life on a reality show? That depends . . .
Actually, my family was lucky to be chosen for HGTV’s House Hunters International. If you don’t know, this is a cable tv show depicting a family or individual moving to or within a non-US location. There’s a brief introduction to the setting and the people moving, but the majority of the show depicts the subjects choosing one home among three. In our case, our real life depiction was real, although some of it had to be recreated. We moved to Nagoya, Japan, with our two school-aged daughters and “little dog, Biscuit” last year when we were filmed (it took about a year for the show to be edited and shown). It’s the fourth time my husband and I have lived in Japan. Because of his work, my husband has to live in a teeny apartment two hours from Nagoya, where my daughters and I live, where they can attend international school. Biscuit enjoys a jet set life, alternating between his country apartment and city house. And I am a writer as depicted on television (how much fun is that to say!). 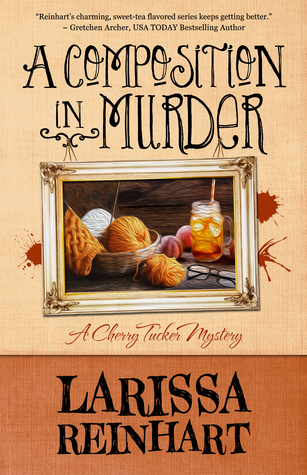 As proof, my sixth Cherry Tucker mystery, A Composition in Murder, releases on November 15th. 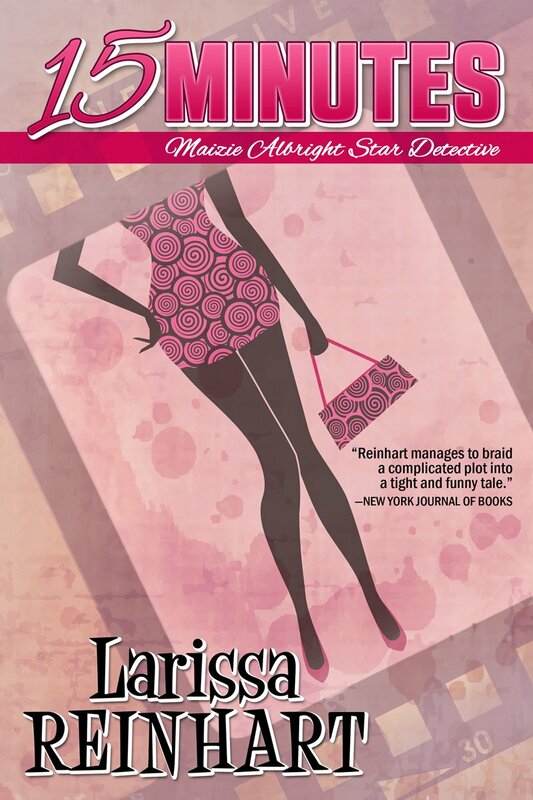 My first Maizie Albright Star Detective novel, 15 Minutes, launches on January 24th, 2017. And in September my Cherry Tucker novella, “The Vigilante Vignette,” was published in a Halloween anthology, Midnight Mysteries. On House Hunters International, they showed me typing away next to a pile of my books. If only real life was that glamorous. I normally write in an old t-shirt and jeans with my hair up in a clip. My computer barely recognized me for that scene. Plus, I could never focus well enough to write anything for real on camera. Ironically, 15 Minutes is about a reality star, Maizie Albright—once a child actress who starred in a famous mystery series, “Julia Pinkerton, Teen Detective.” After her star tarnished, Maizie returns home to Georgia, hoping to become a real life detective. I had the idea and began fleshing out the characters and plot before moving to Japan was even a glimmer of reality. I had basically finished the first draft when my husband contacted House Hunters International to see if we could be on the show. We were HHI fans and he thought it’d be fun. I said, “Why not, it’s not like moving to Japan is a new experience for us. It’d be great research for this book series.” But in my mind, I thought we didn’t have a chance in hell of making it. Imagine our surprise when we kept getting callbacks after each step in the extensive application and interview process. The reality of reality tv didn’t really hit us until we began communicating with the producer. And then the director, sound, and cameraman arrived in Nagoya. It was thrilling and nerve-wracking. My writing life is always a balancing act with children and all the stuff-that-happens-when-you’re-on-deadline. I was actually writing A Composition in Murder at the time, but I took notes for Maizie Albright during our five day shoot. Now I’m writing her second book, 16 Millimeters, with that experience in mind. I’ve always felt the best part of writing has been the people. Meeting readers and connecting with other writers has enriched my life. That’s also been the best part of my very small, 15 minutes of reality star fame. I have new friends in our British producer and American director. They’re lovely, interesting, smart women, who I genuinely enjoyed getting to know. I love having met our talented Japanese sound guy and British cameraman and enjoyed learning about their interesting work. Now I follow them virtually (on Facebook) around Asia to see their work on commercials, documentaries, and more HHI shoots. During our filming, they all had an amazing rapport with my children (and our dog), giving my girls a positive experience, something I worried about before the shoot. My daughters received first hand experience in directing, sound, and filming. Also the hard work and long hours that goes into a show. And after our episode aired, lost friends who saw the show searched us out on the internet to reconnect. New friends and readers, really lovely people, reached out just to tell me they enjoyed us on the show. It humbles me to realize our fun, family experience has made people smile. This is why I write for publication, to entertain readers, particularly for those wanting to escape from life’s difficulties. I didn’t think about the crossover into a twenty-five minute tv show. It’s been an amazing real life experience. 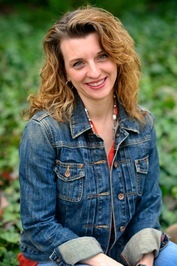 A 2015 Georgia Author of the Year Best Mystery finalist, Larissa writes the Cherry Tucker Mystery and Maizie Albright Star Detective series. Her family and Cairn Terrier, Biscuit, now live in Nagoya, Japan, but they still call Georgia home. Visit her website and join her newsletter for more book news at http://smarturl.it/larissanewsletter and feel free to friend her on Facebook, Instagram, Twitter, and Goodreads. 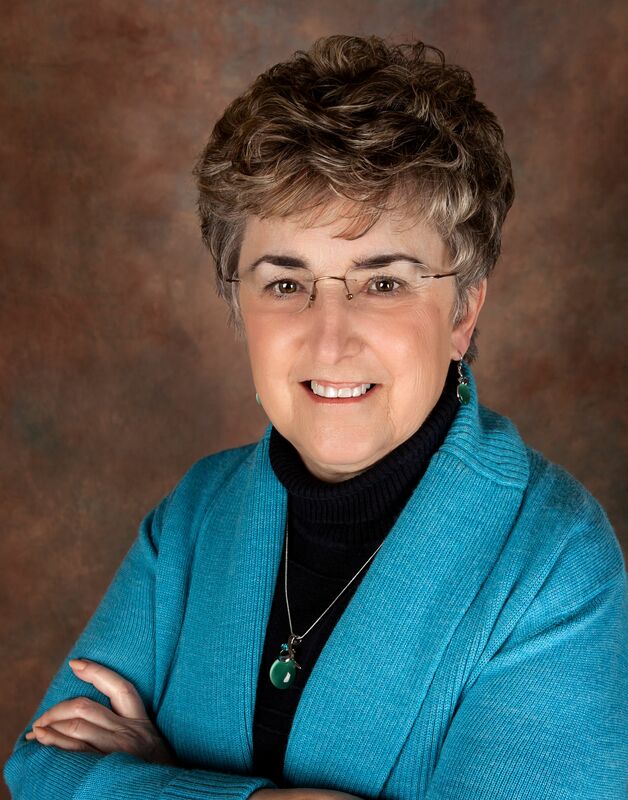 Please welcome Dr. Barbara Ebel, who has taken Dr. Danny Tilson’s daughter and given her a series of her own! I hope you enjoy DEAD STILL! 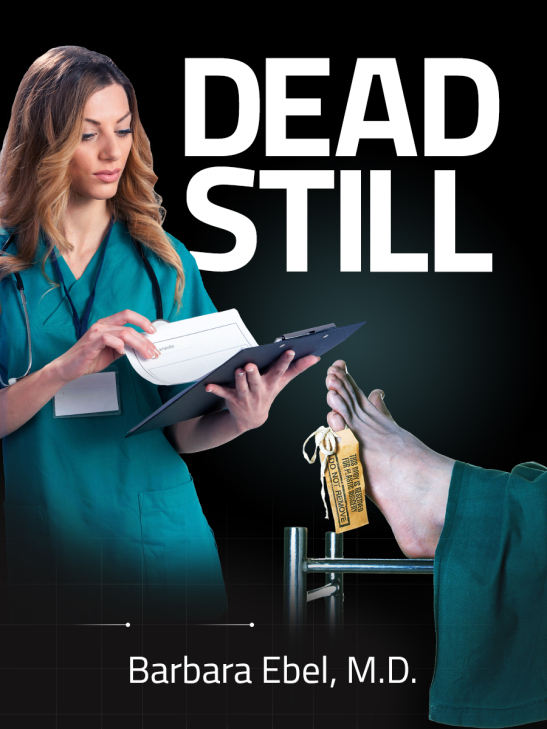 This is Book One in the medical adventures of Dr. Annabel Tilson and is also a standalone story. Detective Max Wolfe, his adorable daughter, Scout, and their equally adorable dog, Stan, return in the third in the series, The Hanging Club. 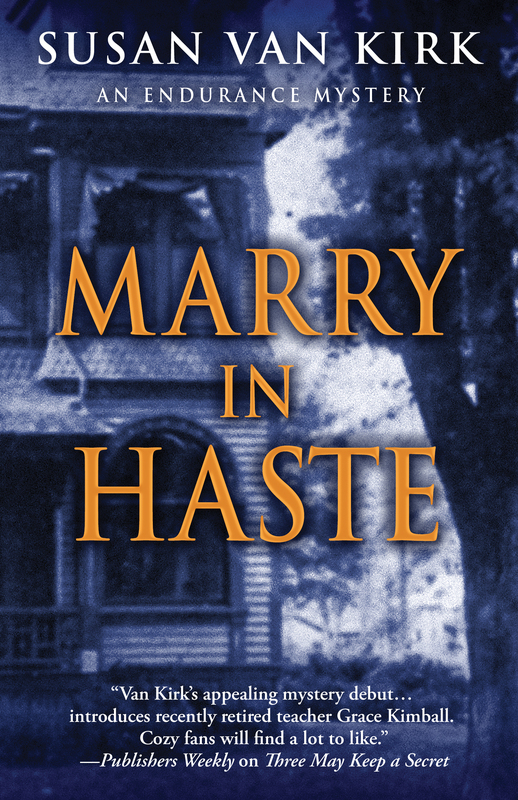 This series is a favorite of Auntie M’s for its strong narrative, and the way the author examines the police system and its interaction with society in England. The title reflects a band of vigilante executioners who are abducting men they have judged evil. and hanging them, then sharing the excruciating videos of the hanging. Max is troubled. His team’s investigation shows the murdered men all touched off strong feelings by their past actions. The law has dealt with them, but have they been dealt with fairly in the eyes of society? There are legally correct outcomes and morally correct ones, and Max is sworn to follow the law. Where, he wonders, does the anguish caused to the victims’ family come in? The media makes these killers seem like heroes, making Max’s job dicey as he tries to investigate. And because the victims cross all stratas of society, so will his probing, with often surprising results. 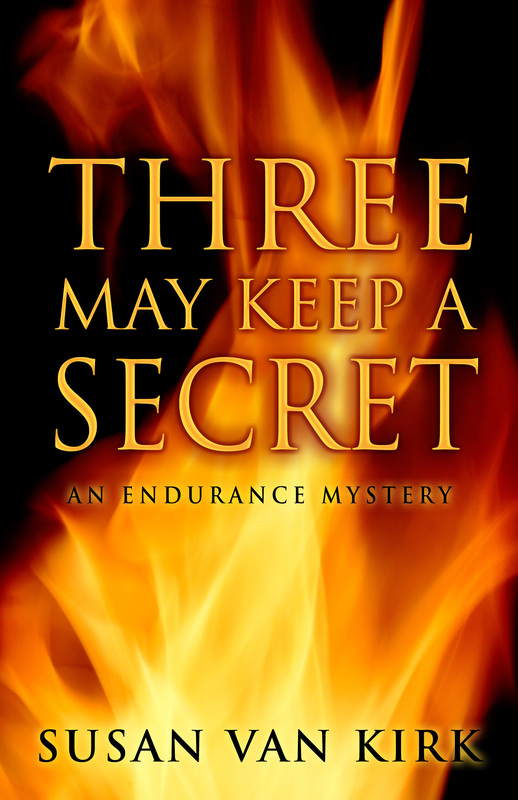 Max is a man of conscience, perhaps one of his most attractive traits, and these cases will test everything he thought he knew about his beliefs. Highly recommended. Barry Maitland’s Brock and Kolla series, set in England, has been one of Auntie M’s mainstays for years. Then last year he brought out a second series, featuring DS Harry Belltree and set in his current home of Australia. 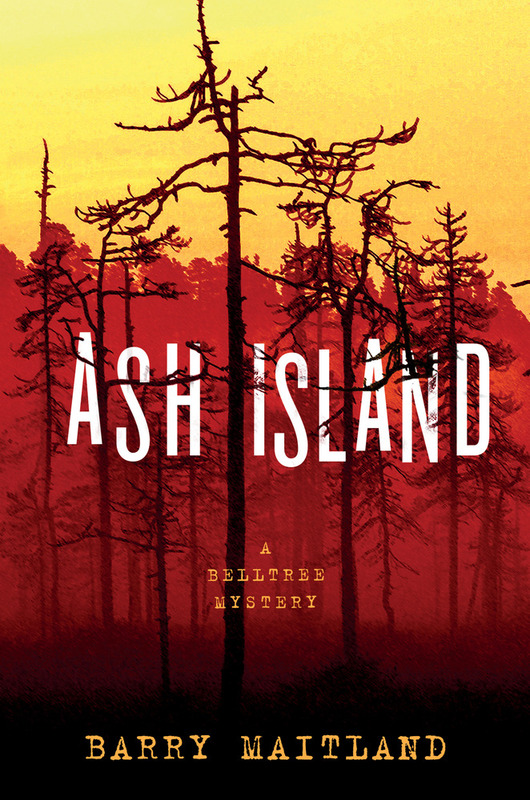 The second in the new series, Ash Island, finds Harry just back to work after his near death in Crucifixion Creek and is a strong sequel. Harry’s posting away from Sydney and the horror of the past case suit him fine. He and his wife, Jenny, are expecting their first child together, and living in a cottage in Newcastle with Jenny’s new guide dog. 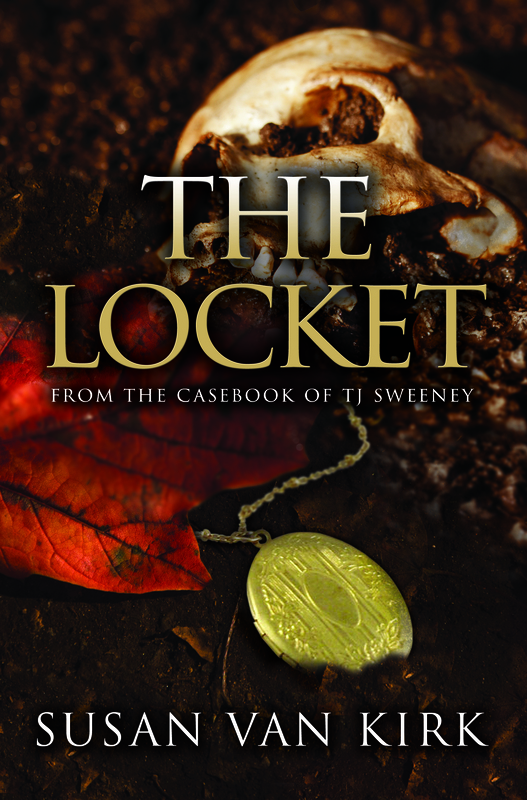 Harry’s case revolves around a body found in the marsh vegetation of Ash Island, showing obvious signs of torture. He’s convinced this is a dumping ground for bodies, and he’s proven right, but not without consequences. Newcastle was the area of the accident that robbed him of his parents and Jenny of her sight. Harry knows it wasn’t an accident: his father was a well respected Aboriginal judge, and he’s always understood that his father’s position led to his death. How these deaths are connected to the bodies buried in the marsh provide some of the strongest action scenes in the book, as Harry not only tries to find out what’s at the bottom of the accident, and those buried bodies, but whom he can trust. The area comes alive under Maitland’s assured descriptions. There will be a double surprise at the end, and the resolution Harry seeks will come at a steep price. An accomplished and fast-moving plot will keep readers flipping pages as the past reaches it fingers into the present.